It allows you to repair the baseband of any Samsung Device using the ADB and Fastboot Method. 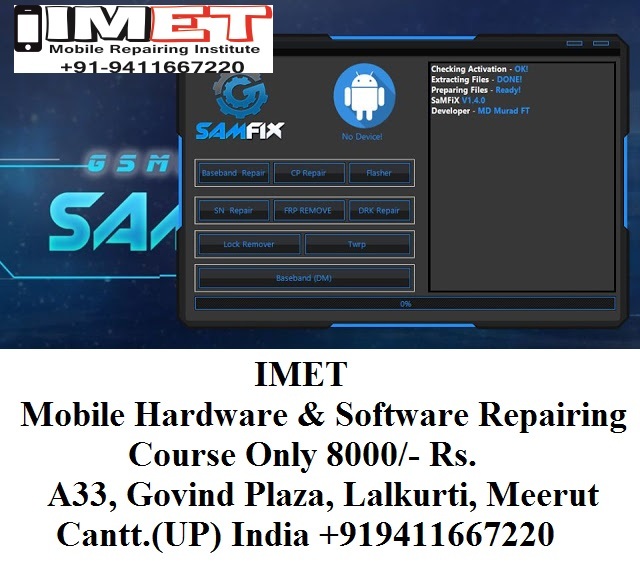 It allows you to repair the device Modem, remove the FRP protection from the Android Device, Flash Stock Firmware or Recovery on any Samsung Device, Repair the Serial number of Samsung Device. It also allows you to repair the DRK using the Factory Mode, Remove the Password Lock, PIN Lock, Pattern Lock without any data loss. In order to use the application, you need to install the Samsung USB Driver or Universal ADB Driver on your Computer.